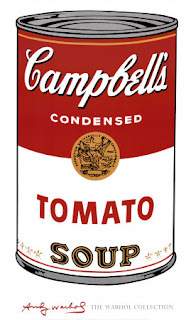 The Wednesday’s Writer’s Corner: Do I Really Have to Live on a Can of Campbell’s Soup a Day? In the late 1980s, I’d only been married to JC for a few years. We had a daughter, and I was working full time as a pre-kindergarten teacher at a big corporate daycare center called Children’s World. JC and I had so many similar interests, and I think on some level, we’d both always wondered about the possibility of writing down all the stories in our heads. Something about the two of us being married and living together began to push that possibility forward. In my opinion, it takes years of practice to become good at almost anything, whether it’s cooking, playing the piano, or writing fiction. The key is practice. Lots and lots and lots of practice. However, I didn’t know that back then. Like many hopeful young writers, I thought there must be a “code” or a “secret key” that other published writers could tell me or give to me, and then I too would be part of the fabulous published writers’ club. JC and I started going to SF/Fantasy conventions (within driving distance) and attending every panel we could on the topics of writing and publishing. One area of life that was particularly baffling to me was “when” in my day I was supposed to get this writing done. I was up at 6:00 in the morning and at work by 7:30. After work there were errands, grocery shopping, laundry to get in, dinner to cook, cleaning up, putting all the laundry away, and then hopefully spending a little time with my family. When was I supposed to get this writing accomplished? When going to SF/Fantasy conventions, I would always attend panels with titles like “Finding Time to Write,” or “Managing a Writer’s Life Around a Real Life.” I quickly noted a theme being expressed by the people on these panels. Now these folks were not best selling writers. Terry Brooks often came to our local conventions, and he never sat on these panels because he was a full time writer and would have little to add. So, the folks on these panels tended to be short story writers or people who had been working on the same novel for eight years. They almost always said the same things. I could see many people around me nodding as they listened to this sage advice. But I had a husband who depended on my income for half the family budget. I had a daughter to care for, and we were renting a decent apartment. As much as I wanted to be a writer, I certainly could not expect them to live on a can of Campbell's soup a day. That struck me as incredibly irresponsible advice. I have an analytical mind, so I take all advice at face value and examine it. I decided it must be possible for me to take care of my family and still manage to be a writer. Now at the same time, I was beginning to realize that my own background and education was somewhat lacking if I was serious about becoming a writer as a vocation. But I knew the chances of me making a living (a real living) as a writer were small, and so a few ideas were blooming. JC and I decided to move to Moscow, Idaho, and attend the university there and eventually become college English instructors. Most college English teachers teach three days a week—and then they have grading and office hours and planning to handle. They also have breaks between semesters. I thought that such a schedule would give me time to write. I also liked the idea of teaching college English. The adventure through my bachelor’s and master’s was an awesome experience in many ways. I always worked part time, and we also had scholarship and student loan money. Things were tight sometimes, but we got by. The shift away from full time employment alone gave me some time to write, and in 1990, I sold my first story. I went on to sell more. I wrote the first rendition of Blood Memories in 1993. Later, as a college instructor in Colorado, I wrote the first draft of Dhampir with JC. We wrote in the cracks of time. We wrote on breaks between semesters. Because of our kind of wacky schedules, we found time to write. Granted, we always lived simply, and we didn’t drive fancy cars or take trips to Hawaii. But we always had a decent place to live. We always had healthy groceries. We paid our bills and did not sacrifice everything for our art. We also strove for careers that we would have enjoyed had we failed to become full time writers. Starving when you’re young may seem romantic, but what if we’d never sold Dhampir? What if we'd quit our day jobs long ago in the late 1980s and lived on a Campbell’s soup a day, trying to get published and sacrificing all for our art for years and years? Had we not planned well for a contingency, we’d be in a pretty bad position right now, probably bitter, with a bleak future and blaming the publishing industry for not recognizing our talent. Lots of writers manage their lives, their jobs, and their families, and still find time to write. I have friends with full time jobs who get up at 5:00 in the morning to write before leaving for a job—and that seems to work for several people I know. I personally need more chaotic schedule than the 8:00 to 5:00 one. But . . . my point is that you need to figure out what’s going to work for you, figure out “how” to get there, and start working toward that goal. And you don’t need to live on a can of Campbell’s soup a day in order to do this.